Everyone agrees that Microsoft PowerPoint is so 20th-century. It’s not the best free presentation tool (in fact it’s not free at all). So what should you use if you want to make 21st-century presentations? A few options come close to claim the best free presentation software. 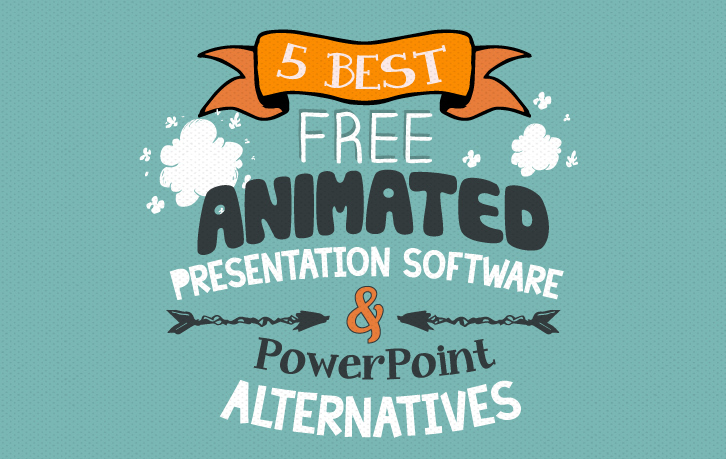 In this article, I’m going to show you why Powtoon is the best free presentation software and the best alternative to PowerPoint. When it comes to presenting and making presentations, Powtoon succeeded in creating a whole new category of presentations. Forget bullet points, templates, and files on your computer. Powtoon is an online tool that allows users (PC or Mac) to easily create animated stories for presentations or explainer videos. Slides are only used to manage content while creating the presentation which, when on screen, provides an easy to grasp narrative. If you are a Google Drive user get excited because Powtoon integrates really well with it. Powtoon is great with voiceovers, and allows you to integrate a great script with fantastic animated characters. We work a lot with Google applications and they are great alternatives to some Microsoft applications. You may already be familiar with Google Drive, and if not then we highly recommend checking it out. 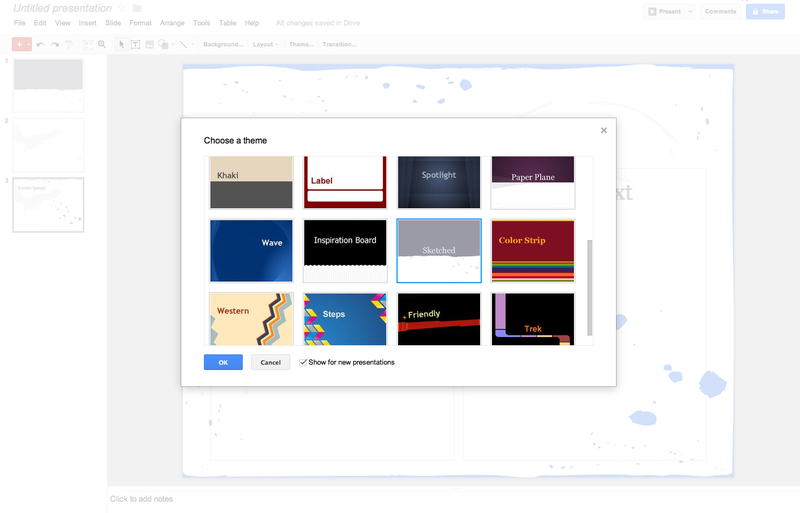 Google allows users to get started with presentations super quickly and efficiently. It looks just like PowerPoint but is much easier to use. What can we say, the software was built by geeks and it shows! While the aesthetics of the presentations are quite lacking, and the templates are too basic, it is, however, very strong on collaborative work. 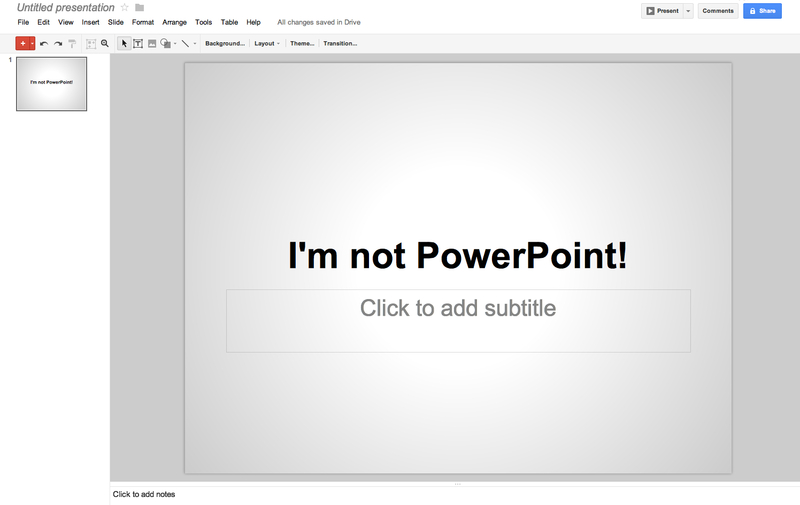 Creating PowerPoint-like slides has never been easier. Many people use Google Docs presentations to start their creative process and then switch over to more robust programs. 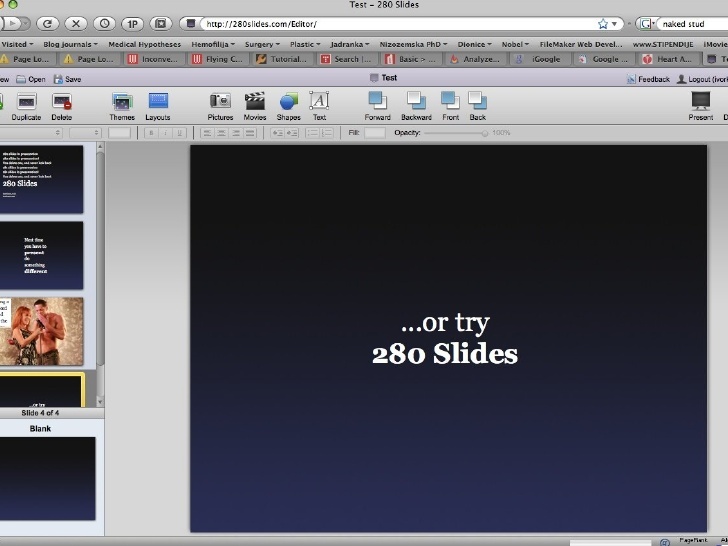 280 Slides is one of those unknown, “no one has heard of”, slideshow apps that surprisingly has quite a large user base. That’s because presentations made with this program look just like Microsoft PowerPoint fancy edition! It’s easy to use and many users often create slides in Google Docs or PowerPoint and then import them into 280 Slides to get that fancy, fun feel. A quick search online shows that many of the presentations created with 280 Slides end up on SlideShare, and other great features include autosave and recovery (also available on Powtoon and Google Docs). You can also export your slideshow back into PowerPoint if you want to share your presentations or have a collaborative aspect. *Editor’s Note (2019): Sadly, we say goodbye to 280 Slides after they’ve since been discontinued as an available presentation product. SlideRocket is an expensive web-based presentation application. SlideRocket offers a limited free option with the ability to import from PowerPoint and export to PDF. The higher price comes with many features including sales team collaboration and more, which is quite unique. The slide transition effects look great on the screen and resemble Flash more so than PowerPoint. You can also integrate content from sites like Flickr and YouTube, as well as utilize plug-ins in each one of your presentations. If you want great graphics and lots of templates and are willing to pay up when the time comes, this may be a really good option for you. It’s still a slideshow, but a really, really good looking one. *Editor’s Note (2019): Sadly, we say goodbye to SlideRocket after they’ve since been discontinued as an available presentation product. Prezi became very popular because it was the first to offer a real alternative to the typical slideshow format of presentations. It’s still the best option for what we call “non-linear presentations”. If you need to hop around a lot this is a good option because Prezi allows the presenter to skip to any part of the presentation with ease (unlike PowerPoitnt where users need to move back or forth one slide at a time). 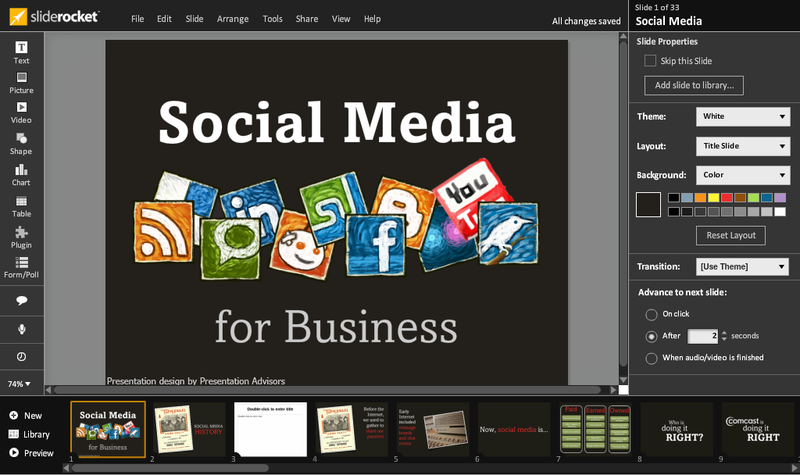 Ready to convert your old PowerPoint presentation into something extraordinary? Convert PowerPoints to dynamic Powtoon for FREE now!